With a garden full of fresh strawberries, I figured I'd better find ways to make some yummy food for the kiddos. 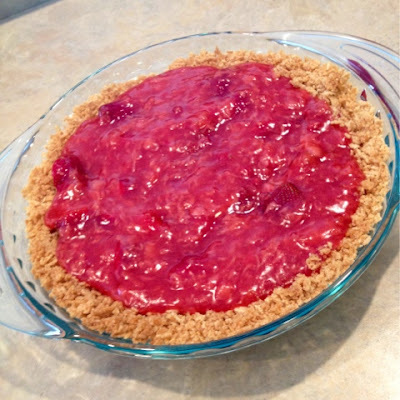 Here's my strawberry pie. Preheat oven to 350º. 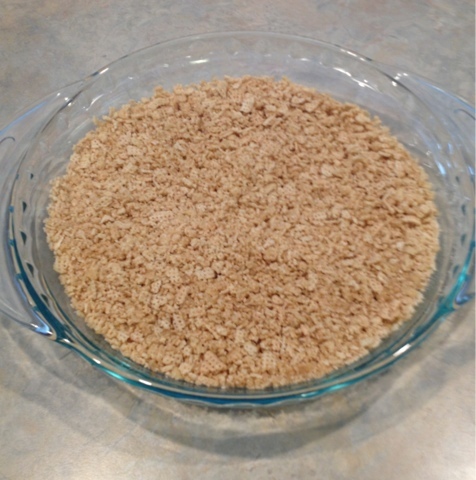 To prepare the crust, melt butter and mix with crushed Rice Chex. Press into pie plate. Bake 15 minutes. Once crust is baked, place 1 c. strawberries on top of crust. Mash remaining 2 c strawberries with a potato masher. Combine sugar and mashed strawberries in a saucepan. Bring to a boil over medium heat, stirring frequently.